Letter 13 Creative > Blog > What is Design? Defining Design in Business. Design has become an integral part of our businesses, our society, and our lives. Whether we know it or not, design is affecting everything we do. It can create success or take it away. Traditionally, using the word “design” brings to mind graphics, pictures, logos, and text. Design may exist on a 2-dimensional plane or in our 3-dimensional world, but is rooted to something visual. Unfortunately, most people’s understanding never goes beyond the visual representation. Design is so much more. When you think of something that is well designed, what comes to mind? It may be as complex as a car housing an engine that moves the vehicle with incredible speed and precision. It may be as simple as a chair, shaped in such a way that it is very comfortable to sit in. Or, it may be an iPhone with a minimal, intuitive interface that allows easy use by anyone. While all of these things are visual in some way, the true depth of design goes far beyond aesthetics. The design of these objects extend into their functionality – how they actually work. The car’s exterior may look great, but it is its speed, its handling, that truly matters to the driver. The chair may be a work of art, handcrafted and cut in a contemporary way, but it is the way it feels to sit that matters to the person resting in it. The phone may have a sleek casing and beautiful interface layout, but the ease of interaction is what matters to the user. Design goes beyond any visual or aesthetic representation and affects a person’s experience. While this is beyond the surface-level understanding, design’s true nature goes even further. At its core, design taps into an unconscious level of human interaction and understanding. People recognize the speed, the comfortability, or the ease of use of the above mentioned designs. They appreciate these features and attribute them as the design, in and of itself. What often goes unappreciated, at least consciously, is the true problem a given design solves. All businesses, services, and products can be broken down into a simple, problem-solution dynamic. Look at the original challenge of getting from point A to point B. Humans solved this problem by designing the wheel, the wagon, the carriage, and then the automobile. In fact, we solved the original problem so well that now a new challenge has surfaced, How to make getting from point A to point B more enjoyable? The solution, or design, is creating an exhilarating, fun experience while driving. Superior speed, magnificent handling, comfortability, and bold aesthetics are required to create this solution, but are simply byproducts of the design itself. Why is this car well designed? Because the feeling of driving it is incredibly exhilarating and enjoyable. The modern phone is a solution to the challenge of task organization, communication, and connection. It has evolved far beyond the simple how to talk to someone issue. We can now communicate through a variety of apps, messaging platforms, and social media. We can organize our lives, schedule appointments, and accomplish tasks. We can stay connected and leverage the world’s information at any time. All these tools (solutions) give rise to new challenges, How to manage all of them? If the new problem is organization of our tasks, communications, and connections then the design solution is efficient and engaging ways to accomplish them. Clear language, minimal graphics, seamless transitions, and rewarding interactions all add up to the efficient and engaging solution, or design. Why is this phone well designed? Because it allows users to accomplish tasks, communicate, and stay connected in the most efficient and engaging way possible. The further we examine well-designed things the more we come to understand that design is a solution to a problem. In business, a shift has occurred that places greater value on design than ever before in history. Design-related jobs are appearing all over the place. Web design, graphic design, user interface design, customer experience design, product design… the list goes on and on. While each of these jobs have their specific differences and niches, they all have something in common. Design is an idea. Design is problem-solving. Design is a solution. Intelligent, highly successful companies and enterprises are beginning to employ design at the leadership level. Increasingly, they are looking for individuals that possess business, communication, and design skills. But these are not the design skills in a traditional sense which would involve the purely visual skills; these are design skills of thinking and of leadership. Designers approach the world in different ways than traditional business people. They have the ability to look at situations from different angles and bring new perspectives to the table. As masters of communication, designers have strong empathy for the people with whom they are trying to reach and connect. Designers, by nature, are looking for solutions in any given situation. Whether the solution takes shape as a new business idea, a way to increase efficiency, or even a better way to communicate through visuals, storytelling, or language is completely dependent on the situation. As solution-driven thinkers, designers are more valuable than ever before in business. The ability to bring new perspectives to business problems and increase the quality of engagement with customers is why many brands are so far ahead of the curve. It’s also why so many businesses are falling behind. Businesses that focus on strong design and design leadership are better equipped to craft innovative solutions and create meaningful connections with customers. Design allows businesses to stand out and get ahead in their marketplace. Design permeates our culture and our lives, solving real problems for real people. It impacts a person’s conscious and unconscious experience. It solves problems they might be completely unaware of and does so in an efficient, fun, and meaningful way. Design thinking and leadership are more important to businesses than ever before. The ability to create solutions for brands and customers in innovative ways is what sets companies apart. 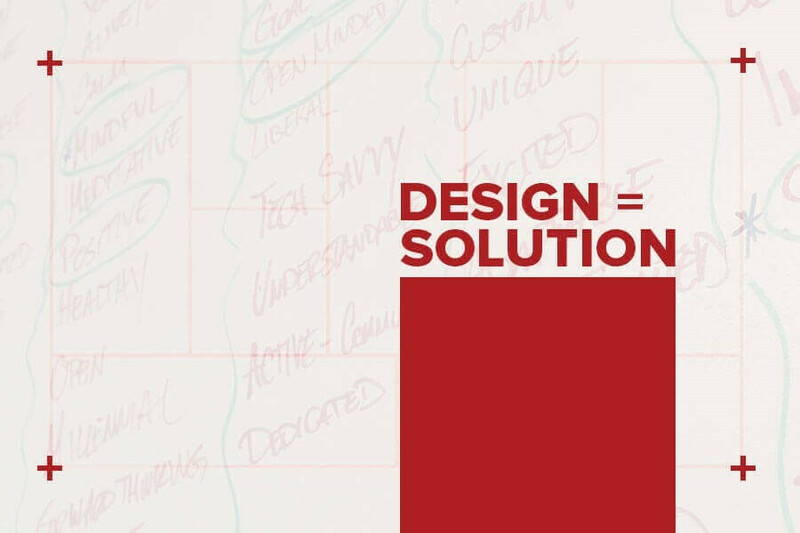 Solution-driven design is powering the growth of business, culture, and people across the globe.